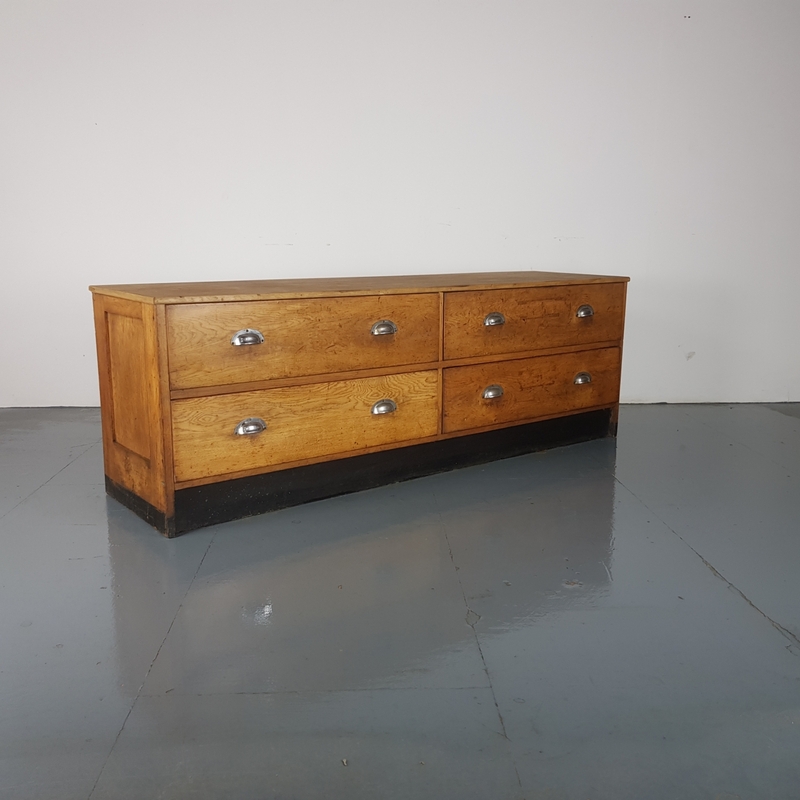 Lovely 1930s haberdashery shop unit / low sideboard. Would add instant impact in a living room, study or hallway. Offers lots of storage with 4 drawers all with original cup handles. In good vintage condition. Some scuffs and nicks here and there, but nothing that detracts. Please bear in mind this has come from a working environment so it is not in perfect condition but because of this, it has a wealth of charm and character. A fabulous, very unique piece of vintage furniture, very sought-after right now.